You may want to know what the best compression rate for you video to upload to websites such as Vimeo and Youtube would be. Personally, I have had very little problem with H.264. I simply create an Mp4 video with an H.264 compression using encoding software which is free and easy to use. You can even export a file via Final Cut or iMovie to get the same result. As long as you get the aspect ratio correct, you should be fine. Also remember, if your file is HD, it will play in HD on the site. If it’s standard definition, that’s what you’ll have on the site. I like Vimeo because my videos have the option of password protection. In this day and age, you can’t be too careful with your media. 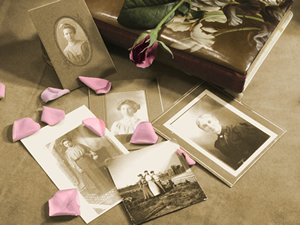 We at Advanced Media specialize in personal family history conservation and preservation. There is no way of knowing exactly when a VHS to DVD transfer will become impossible due to tape deterioration over time. That being said, most experts agree the life span of a video tape, including Betamax, VHS, 8mm, audio cassette, HDV and mini-DV is between 8 to 12 years and they recommend that these tapes be transferred to DVD or to a file (digital) within the first 5 years because they can become grainy and the quality will suffer. They may also lose sharpness over time. 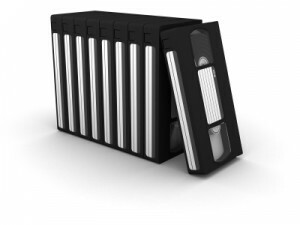 Obviously this varies greatly with different brands and it depends a lot on how the tapes have been stored or handled. Try to keep them in a temperate place with minimal dust and no moisture. They are also susceptible to being crushed and replacing the housing is around $50 at Advanced Media and the price at many of our competitors is substantially more. Also, I’ve seen tapes from the 1970’s, 80’s and 90’s that look pretty good so the only way to tell if they still play fine is to bring them in, unless you happen to have a machine at home. Even still, we use new equipment so the heads aren’t worn out. The machine is much less likely to damage the tape in any way. The heads are cleaned regularly also, preventing any more deterioration from occurring. Here are a few more tips. Never touch the tape because the oil on your fingers causes damage. Always rewind tapes before storing them away. Keep the cassette away from magnets. A lot of appliances have magnets inside of them so beware they have the power to erase magnetic tape. Don’t leave the tape in a hot car because they will melt and be lost forever. Store them in a box of some kind that won’t allow dust or moisture inside. I use a tin cookie box with the tapes wrapped in plastic. Always use the case and always label the tape. That’s about it for my advice on magnetic tapes. For more info, feel free to call with any questions you might have. Thank you for reading our blog. We hope you found it useful. Please call us at (323) 469 0707 or go here for your next transfer job. We are here to help. In today’s ever changing, technological landscape there are a lot of options as far as sharing your videos with family, friends and business associates. You may also want to share them with strangers or you may want to be able to limit who is able to watch your content. Here are a few options. 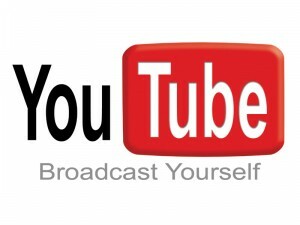 One way to go about doing this is to create an account with Vimeo or Youtube. 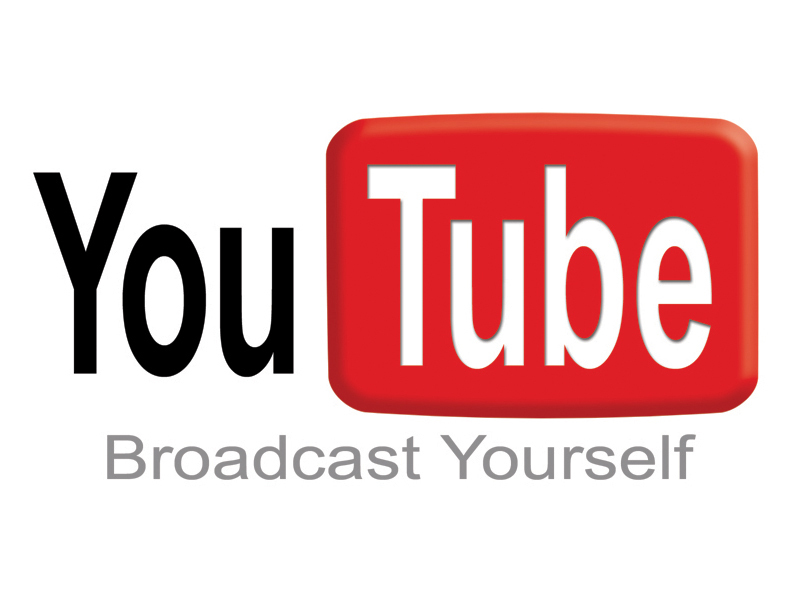 These hosting sites allow you to control your important videos. They also allow you to share them with anyone or no one, depending on your particular needs. Many people come to me with this questions, “Why can’t I upload my DVD to youtube?” First of all, you’ll need a file. A file is a single, self-contained unit utilized by a computer system. Think about a video like a song on your iTunes. There’s just the one song and it’s a file. It’s only purpose is to play that song. A DVD is a mass of files all working together to display your image. In order to create a file from it, you will need some software and a little understanding of file encoding. A lot of people who aren’t particularly tech savvy are just better off brining it to a professional. These hosting sites have file size limits that are much larger than your email limits. You can email a file up to 25MB, that’s 25 megabytes. This often means that your file will be degraded as far as the image goes. It won’t be the best possible quality but in most cases this will be just fine if the video is under 5 minutes. Once you create the file, you can upload it to the hosting site and then you have a series of options. You can make it public or you can keep it private so that only people with the link can watch it. You can cut and paste this link in order to share the video via email. In Vimeo, you can give people the option to watch and download the link. This helps if you want them to be able to store the video and it’s a good way to transfer files under 1GB. If your video is on the longer side, say 15 minutes or more, you also have the option of a good old-fashioned hard copy of the disc. 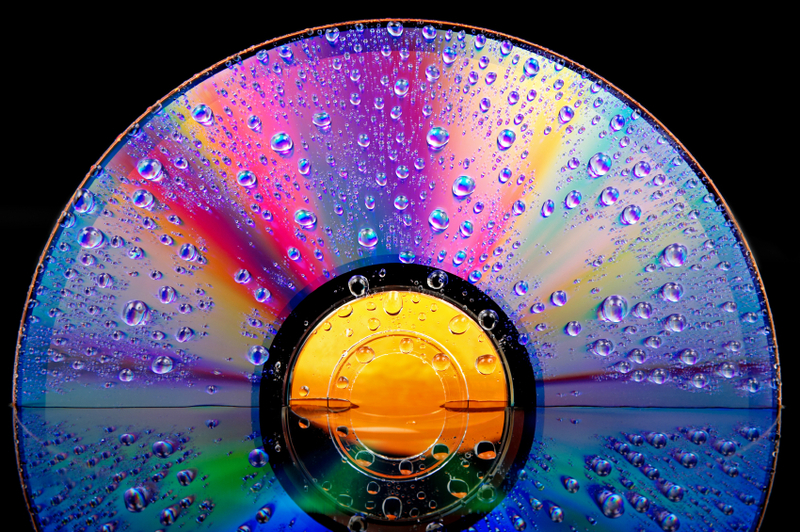 You can put it on a flash drive or you can send it as a playable DVD, which will play in any DVD player or computer with a DVD player. So to recap there are 4 basic ways to share your video, mail out a DVD, email (for shorter files), upload to a hosting site, or use a site like yousendit.com or dropbox to send files. This last option is generally used by media professionals. Just be warned that there can be longer waits for uploading and downloading files on these sites depending upon your internet speed. I got a call at my office yesterday from a customer wanting to know how much it costs to transfer a VHS to DVD. When I told her that any tape under 2 hrs running time is $16, she was taken aback. It seems that she’s been quoted over $85/tape from more than one company in Hollywood and she couldn’t believe our prices could be so low. I guess it pays to shop around. It got me to thinking, why would somebody charge that amount? There’s always more than one way to do anything and VHS transfers are no exception. In the case of these simple and affordable transfers, the process involves only one machine. The deck plays the VHS and records at the same time. It creates chapters every 5 minutes so you can skip through to the section you want to watch. Also, it automatically creates a menu, which will pop up after the disc has played through. The other way of doing this would be to digitize the tape and create a file using a computer, some software and some kind of hardware or capture card because analog to digital transfers often involve expensive equipment if you want the best quality. After we have the digital file we put it through a process known as authoring. 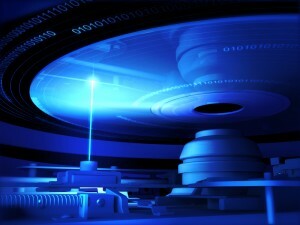 Authoring is the act of creating a DVD or Bluray disc from a file. In this process we can create a menu or a series of menus or we can choose to forgo the menu option all together. Also, we can put chapters in specific spots or not at all. This is going to be a higher quality result but some would ask, if it’s already on VHS, isn’t it already a low quality format? The answer is yes. It’s overkill in most cases. Most people will not even notice the difference. So if you just want to watch the footage on your DVD player or computer at home, this is the one you want. 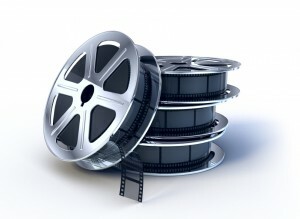 If you need just the file and you want to edit that, we can do that as well for $35/hr of footage. If you want the authored DVD, it’s an extra $50. I come into contact with a lot of people who want to transfer their old Super 8 and 8MM film to DVD or file. Most people don’t realize that although the film will deteriorate over time, it tends to hold up better than you may expect. Also, because it’s film, you’re likely to have a much better image than say VHS to DVD transfers will. I’ve seen some amazing footage in my time and the Super 8 tends to be the best. The colors are more vibrant. The image is more clear. When you only get a 5 minute reel, you don’t let the camera roll. Family photographers tended to only capture the most important events. Also, the resolution can be amazing given that we’re offering high definition transfers at a fraction of the cost of most major companies. The technology has finally caught up with the consumer market. That’s full HD for $3/minute. There are a few things that can go wrong with film storage which can cause problems down the line. Film can become warped. This is somewhat rare but you can actually see if the film is warped just by looking at it. You don’t have to be an expert. Even if it’s warped, it’s often still possible to transfer it. Also, old film can start to smell like vinegar. That’s a sign that the deterioration has begun and in order to save it from being completely destroyed, it’s important to preserve it digitally, either on a file stored on your hard drive or as a DVD for the whole family to watch. Also, old film tends to turn red over time. If this is the case, we can offer to correct it for you. Personally, I like the way it looks. So if you found an old box of footage in your garage, bring it in for a quote. I’m pretty sure you’ll be surprised by the treasure trove of recorded events too valuable to let them go to the dogs for eternity. If you’re the type who gets weepy over stories of triumph and glory over extreme adversity, it may be time to break out a box of tissues. I got a call about a year ago from a middle-aged woman who wanted to document her story. She needed my editing services. Her weight loss journey began a couple of years back when she was tipping the scales at about 250lbs. I was amazed when she walked through the door. She was wearing a nurse’s outfit complete with crocks and she looked about 5 feet tall. She was in pretty great shape! We sat down to discuss her video project and it’s unbelievable what she’s been through. She went from living an incredibly unhealthy lifestyle to running marathons in a very short period. It was fun to put the pieces of the edit together. Like pieces of the puzzle, the clips fell into place one by one. In a couple of hours we got every clip from her television appearances on shows like the Today Show as well as clips of her running marathons in the rain and we cut those in with the pictures of how she used to look before the stunning transformation. I cut it in such a way as to document the dramatic shift. In the old photos there’s always food in her hands. She’s not smiling very often but when she is her face has a sad quality to it. In the more recent pix and especially in the marathon sequences, she’s elated. The spark of life is truly visible. We also scanned her old news clippings and incorporated them in the piece, which we then uploaded to Youtube. She wanted to share her story so that other people out there with eating disorders who lacked the will or the confidence to change their diets and to begin exercising could see that it was possible. In this way, the story was not just hers alone. It’s now a story that belongs to the world and most importantly, the story is true and that’s one thing that can make my work more fulfilling, being of service to others and seeing a bigger picture. Do you have a story to tell? Don’t keep it to yourself. Give us a call. I wanted to write a little bit about the now fully emerged HD formats which are available to customers because for one, they may not be aware of them. The process of taking SD or Standard Definition video such as VHS or most tape formats you’re likely to have is known as upconverting. The real benefit of this is that everything is moving towards HD these days and if you’re going to have your footage digitized to a hard drive in order to preserve it or edit it, HD is probably the way to go. It is now very affordable and this service is becoming more and more popular among our clients who want HD files or Bluray discs which will play on your player at home and look amazing. There are actually 2 types of HD on the market. Consider that the main difference is resolution. The resolution for SD tapes such as Hi8, VHS and also DVD is 720×480. That’s a calculation of pixels in your frame with the 480 marking the height and the 720 as the width of the frame. With true HD, you’re getting 1920×1080, more than double the pixels and your video is going to look that much better. Plus, if you’re editing it together at home, you can place it on a HD timeline and cut it together with other HD footage. The other kind of HD which was first on the scene and is no longer very popular is known as 720 HD. That’s because the resolution is 1280×720. You’ll notice that it’s always a reference to the height or the smaller number in each case. So as long as you’re going to take the time to preserve your family history or your vacations or your ballet recital from 1986, why not stay current with HD? It’s just a little more cost but since it’s become so much more affordable in recent years I think you’ll find you’re getting your money’s worth. Also, you’ll never have to transfer that footage again because you’ll already have the best possible files. 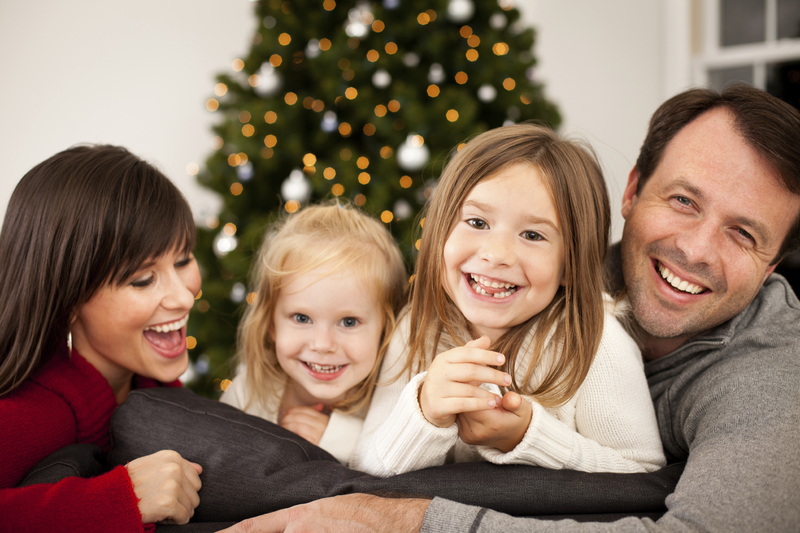 Party of my job at Advanced Media LLC is to help people to preserve their family heritage. The includes film transfers, VHS to DVD, audio cassette to CD and various tape formats to file such as Mini DV, HDV and even Betamax. From time to time the question does come up, “Why is it so important to preserve these old tapes?” For one, they are deteriorating. Most tapes have a shelf life of about 20 years if stored properly out of the elements. Film is more mysterious. It can last a very long time not but it to will succumb to the forces that degrade and distort it’s wonderful images. Also, DVD is not the only format to save these films to. If you go to an external hard drive, it’s even easier to make copies of a file and to back that up on your computer or another hard drive. It’s also very easy to share with family members who may be peppered throughout the country, the state or even the world. I often help people upload their prescious memories to websites such as vimeo and youtube in order to share them with those who were on the tape or with those who remember relatives who are no longer with us. It’s just a nice way to hand down the history of your family from one generation to the next. That way, when one person passes, the memories and the documents do not pass away with them. They are preserved for generations to come. The best way to do this, in my opinion is to create high quality files and to save them to a hard drive. Of course hard drives can also have their share of problems but if you have these priceless artifacts backed up in more than one place at all times, the odds of them ever getting lost is very limited. So please consider bringing in that old box of family history and get the family together to watch and to partake in the things that once were.